As a bachelor, I consider myself particularly fortunate. Blessed, even. I love women. Don’t get me wrong. But I’ve grown accustomed to a maverick’s lifestyle. Approaching 52, I’m too old for the dating scene, and I wouldn’t want to participate anyway. Why? Because I’m a fanatical writer. This means spending gobs of time alone. In solitude. I relish this. Seriously. Time to myself affords me time to write. So while isolation might be a bad word for some, for me it’s a joy. In fact, ironically, my meager vocabulary fails me when describing the elation that accompanies this lifestyle. Bliss is the only word that comes close. How devoted am I to writing? Apart from the job I do to keep the lights on, pay my bills, save for a motorcycle, writing is my everything. I’ve gotten into trouble for turning off my phone on weekends to prevent interruption. When not expecting company, I’ve refused to go to the door when someone knocks. This alone-time affords me the meditation I require. Sorting and testing ideas, articulating my thoughts and feelings, piercing the haze of confusion, and, hopefully, through this celebration of the written word, creating something fresh, original, and inspired. But even the best writers (which I’m not among by a long shot) require fuel for their drive. Sometimes the passion peters out and we writers need an energy boost, a word of encouragement or a motivational declaration. I find this in writing books. Books that summarize what to do and what not to do as a writer, how to achieve this or that result, when to apply this technique, and so on, is vital. Before I began writing so many years ago, I was a musician, and I can’t help but notice a correlation. Whether it be chord encyclopedias, books outlining scale fingerings, music theory, arpeggios, and so on, I benefitted from knowledge that can’t be gained from merely listening to music or playing along to a CD. Instructional books which painstakingly teach the mechanics and techniques applied to the instrument might strike some as dry and pedantic, but if you want to build a transmission, no amount of driving will help. You’ve got to allow the mechanic to teach you how to assemble and reassemble the parts. Understanding how various musical instruments complement one another, how rhythm, melody, and harmony creates moods, moves the listener, and affects a certain attitude, is tantamount to composing your own works. Storytelling is strikingly similar. Characters, plot, scenes, your protagonist’s motivation, drive, strengths and weaknesses, urges, desires – all of this must work together, blend to create a well-themed story that moves the reader emotionally. When applying these tricks of the trade, adopting a certain mentality is necessary. A sincere humility to recognize and acknowledge you don’t know even half of everything will serve you well as you explore what professionals have to teach. A passion for the printed word helps too. Reading your buns off every chance you get is invaluable as well. So when my dear writer friend recommended The Writer’s Journey by Christopher Vogler, I went straight to Amazon and ordered a copy. I’m glad I did. 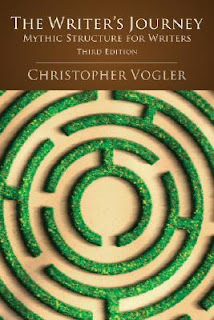 Early in Christopher Vogler’s career as a story analyst, before and around the time he worked in various story-making laboratories around the world, as a story consultant for Disney, 20th Century Fox, and other Hollywood studios, Vogler stumbled on The Hero of a Thousand Faces by Joseph Campbell and the writings of Carl Jung. Campbell, for those who might not know, evaluated popular stories and myths from around the world and discovered that they all shared a common thread, that all heroic tales and myths followed a specific formula, a way in which a hero set out on a journey, faced challenges, overcame adversity, and how those stories tended to move their audiences. Vogler essentially capitalized on this formula, decoded its metaphors, outlined its patterns, and wrote a one-page summary for screenwriters to keep in mind when writing stories for the big screen. This one-page summary got passed from one office to the next until Hollywood execs began inquiring as to the author of this short composition and were demanding more of same. Over time, Vogler developed this one-page summary into a book. This is the third edition of that book. And what a book it is. Christopher Vogler’s accrued knowledge and insight into storytelling is truly inspiring. 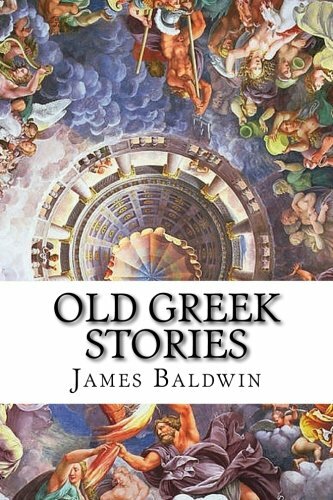 In clear, enthusiastic prose, he conveys the essentials of story and its value to the audience. In fact, Vogler’s enthusiasm is contagious. He’s what you might call evangelical about conveying how these patterns affect an audience. Storytelling is perhaps the greatest medium for reaching the heart, moving the reader, and revealing truth. Vogler knows this. In this book, he isolates powerful themes, archetypes, and ideas so that we writers can harness this value, this power, this life force, as he calls it, of storytelling and, hopefully, move our readers. I believe this book is truly life-changing. Highly recommended. For the writer, anyway. Five out of five stars.